Students who have participated in the Advanced Placement Program in high school and received a score of three, four or five on the national examinations will receive college credit in the appropriate subject areas. Students should consult their high school guidance counselor or write to the Educational Testing Service, Princeton, NJ 08540, for additional information. The table labeled “Advanced Placement Exams” provides information related to Advanced Placement examination areas and subtest areas for which credit may be awarded. The Advanced International Certificate of Education (AICE) Program is an international, advanced secondary curriculum and assessment program equivalent to the British system of “A-Levels.” Information about the program, including course syllabi, can be found here. The table labeled College Level Examination Program provides information related to the CLEP examination areas and subtest areas for which credit may be awarded. 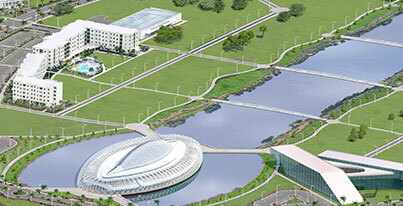 In addition, this table delineates the minimum qualifying score and the Florida Polytechnic University course for which each examination can substitute. Students who have participated in the International Baccalaureate program in high school may receive a maximum of 30 hours of credit for scores of four or higher in the subsidiary and higher level program areas. The table below provides information related to the International Baccalaureate Program credit. Test scores will be evaluated on a case by case basis. AP, IB, CLEP, and AICE information regarding courses/areas for which Florida Poly credit may be awarded is subject to change. Students should consult their academic advisor for up-to-date information.